Team Arctic cross-country racers rang in the New Year with a crushing performance at the USXC J&K Marine 200 in Detroit Lakes, Minn., scoring wins in 16 of 19 classes and capturing 30 of 57 podium positions while leaving the competition nursing a painful hangover. 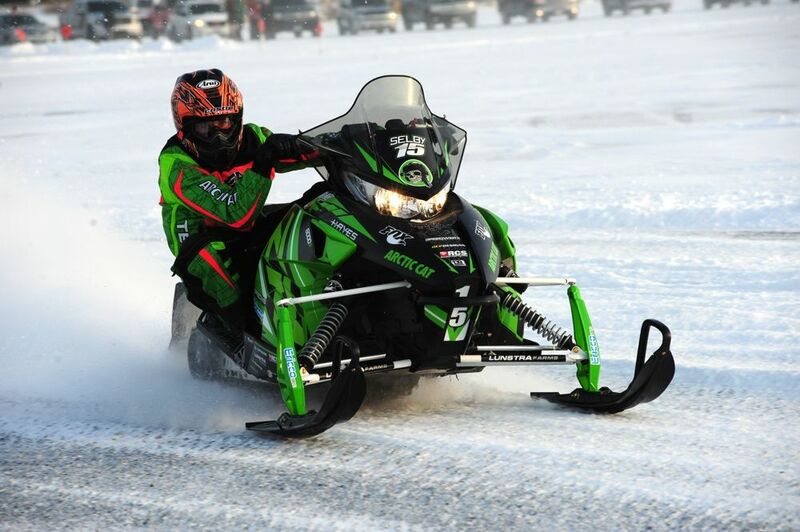 It was the second event of the USXC season and it showcased the dedicated racers and crews as well as the speed, handling and performance of the production ZR6000R XC and ZR4000RR snowmobiles with EFI engines. Team Green’s stunning performance was headlined by Zach Herfindahl’s emphatic victory in the 100-mile Pro Stock final, where he led every one of the 10 laps to win by more than 20 seconds over the next finisher. He and Pro teammate Wes Selby were the number one and two qualifiers in both Pro classes during the weekend. 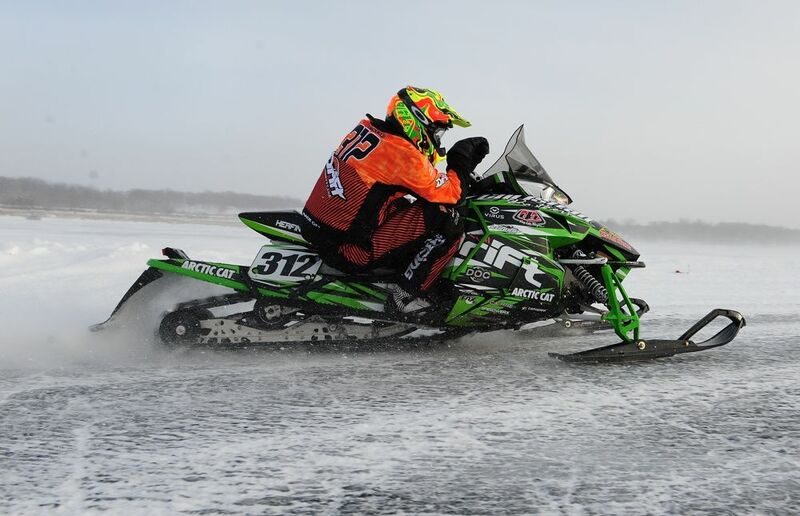 Selby’s run for the Stock class podium ended with a crash while battling for second place, leaving his sled inoperable, however he found solace with an impressive victory in Pro Open with Herfindahl taking second. Lance Efteland delivered a dramatic performance to win both Semi Pro Stock and Open classes. He was joined by Hunter Houle, who won Junior 14-17 and both Expert 85 classes, as the only other multiple class winners at Detroit Lakes. Other Team Arctic class winners at Detroit Lakes included Dylan Parsons, Ean Voigt, Dalton Fredrickson, Savannah Landrus, Keaton Black, Steve Martinson, Jesse Watland, Todd Frishmon and Erik Nymann. 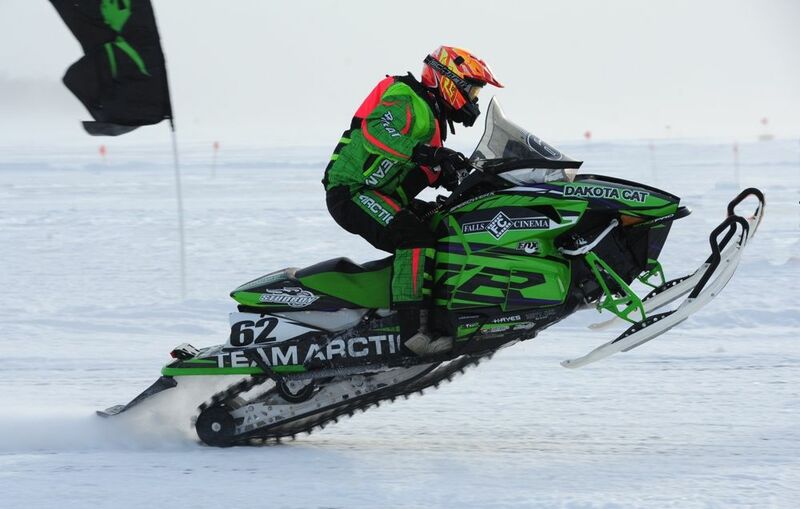 While capturing more than half of the available podium places, Team Arctic racers swept three podiums at Detroit Lakes. The next stop on the 2015 USXC cross-country schedule is Jan. 17, 2015, in Grafton, ND. Team Arctic Results from the 2015 USXC J&K Marine 200 Race in Detroit Lakes, MN. Yawn... Boy oh boy Arctic Cat dominating cross country for the past how many years sure does get old.... Just kidding! Good work Team Arctic! Hey Niki,I love books too. I love holding and radieng off of paper. I got a chance to read a book on a Kindle for the first time this last week though and I have to say, the radieng experience itself was more pleasant than radieng a book. The kindle is lighter, more readable, and there aren't any pages to turn. I feel like I'm coming down on both sides of the fence I guess I feel like there's a place for both. Also, while radieng this, I laughed because I thought for a minute I was radieng Katie's blog or listening to her rant, because she's spoken all the same words.